I needed a blog break ... its been a bit hectic around here lately, so I stopped blogging. I haven't anything new to show knitting wise either, as I have frozen shoulder and have not been able to knit. It is pretty dull around here in that respect! 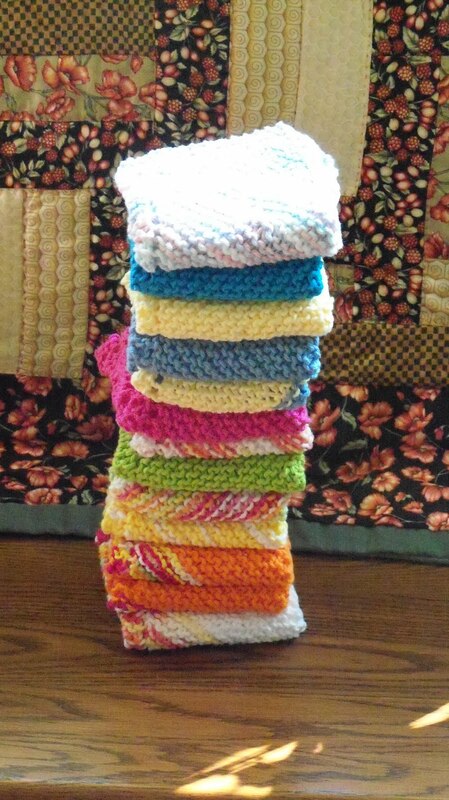 Prior to my shoulder being really bad, I had been working on a few projects ... since the last "Dishcloths of 2010" update, there have been another 14 make it to the pile (bringing my annual total to over 30 so far). 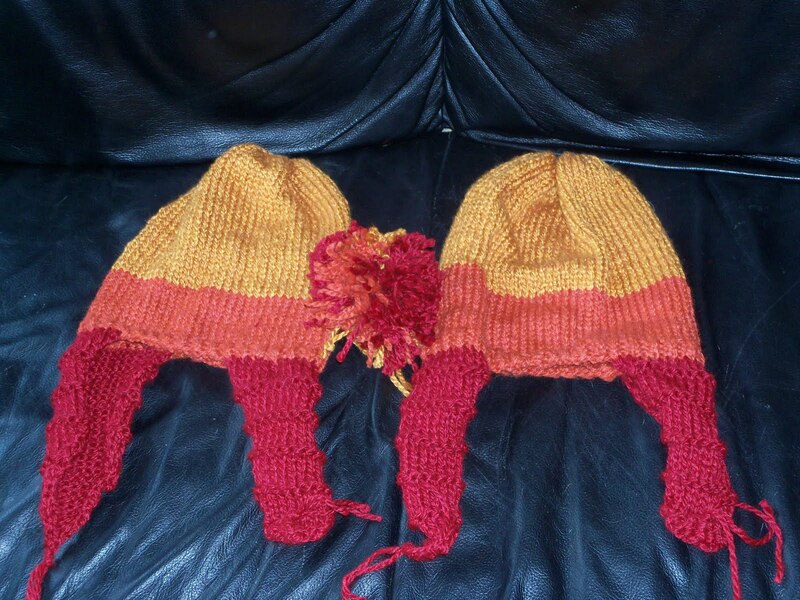 (if you only count 13 in the picture - there is a mauve one that I knit but gave away in the winterwithout taking a picture). 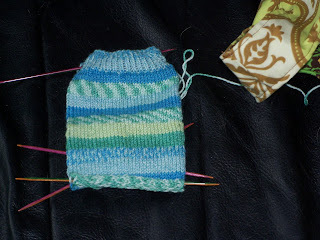 I tried my first Monkey sock by Cookie A., and really enjoyed it ... pretty eh? 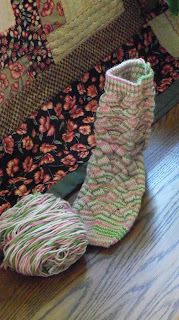 Unfortunately ... not enough yarn left for a second sock, gahgh hurumph! So now what to do? rip it and try a less yarn consuming pattern, knit a pseudo matching sock but use green yarn for heels, toes and cuff, or knit a pseudo matching sock but throw in a stripe of green periodically, or rip it and make a pair of Monkeys with green heels, toes and cuffs? I hate the thought of ripping a completed sock ... it used 600 grams and there are 300 grams left in the ball; it is a Fleece Artist Mill end, so I doubt there is another ball like it out there that I could buy to finish a second sock (T keeps suggesting that ... can't you just buy more? I wish I could, if only to make the Monkey stop staring at me!). I started a pair of socks for my mom's birthday (back in April), but no progress at all since the end of April. They'll be pretty when they are done. I really like your dishcloth photo. The way the sun is coming in sideways, highlighting the bright colours. And the contrasting textures of the wood and the quilt fabric as background? Beautiful composition. What a cheerful picture you've made.